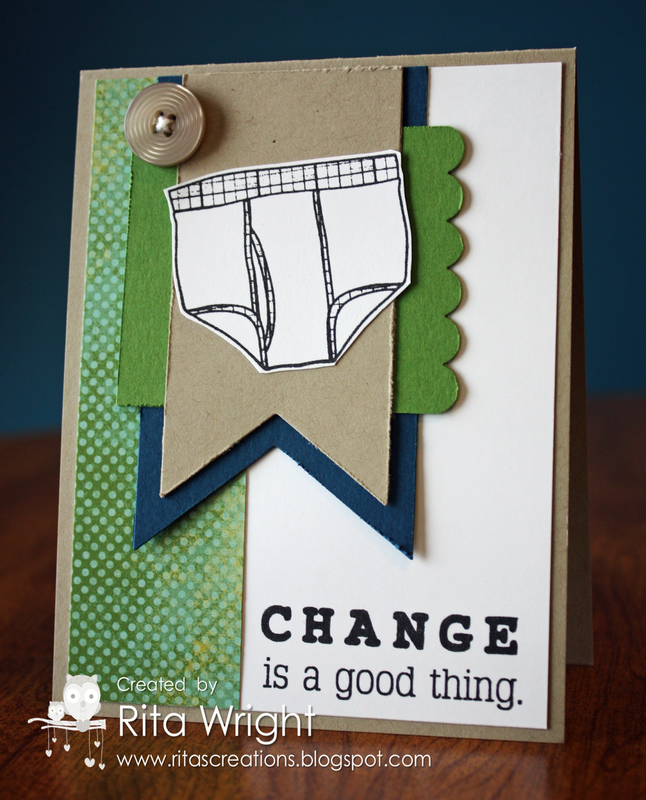 Cards by Rita: Retro Underwear? My dear friend Anne Marie sent me this stamp set (as a joke I believe), but I thought it was hilarious!!! I had to ink it up today with the current sketch at Retro Sketches. It is totally cracking me up!!! Mondays always need some humor (and a lot of coffee), so it was the perfect card for the day! Isn't that a fun sketch? I used some manly colors, Gumball Green, Midnight Muse, and Crumb Cake. I thought a card with men's drawers on it needed manly colors. Ha! Oh my, that is hilarious!! 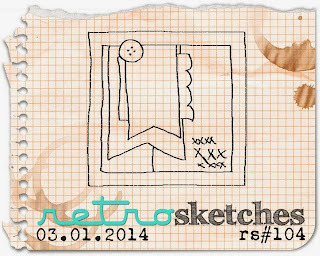 Love your take on the sketch too. Fun sketch, but even funnier card! Love the undies. Laila looks to be enjoying that paper....and what a gorgeous smile she gifted you with! Hysterically funny....are there more stamps in a set? Oh how you could create such great cards...LOVE this one.... Also love the cute look on Laila's face as she takes a break from reading! I have that stamp too and love it! You did a great job with it on this card and Laila... she just makes me smile.